Works That Work prides itself in publishing articles on unexpected creativity. We are also proud that we reach unexpected readers. We’d like to document some of them in a photo series, and we need your help. 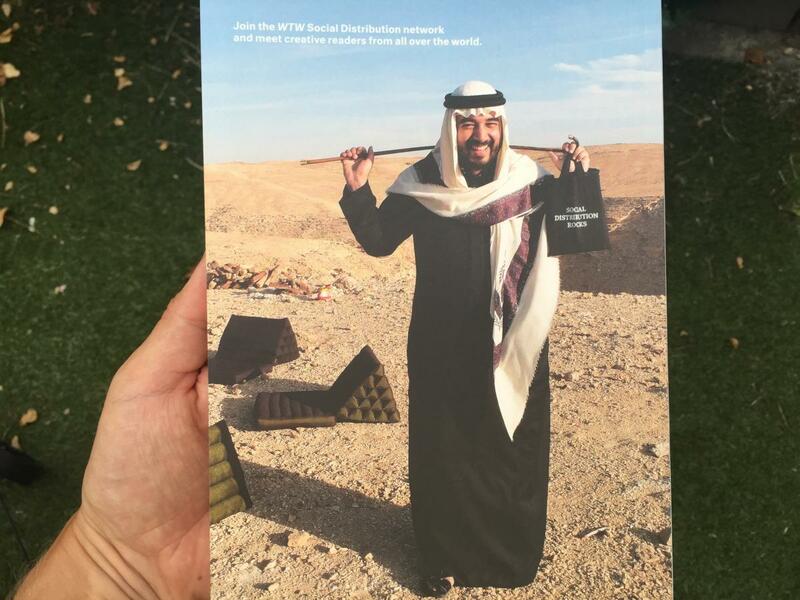 We are inviting our readers to take photos featuring WTW in unexpected environments, or featuring unexpected readers (the back cover of issue 5, showing a young Saudi man carrying a bag of WTW magazines in the desert outside Riyadh, is a good example). There are no restrictions about the location, age or gender of the reader. Every reader who submits a photo will receive a free copy of our Fall 2015 issue, and we’ll pay €75 for every photo we use in the print edition. We reserve the right to showcase a selection of photos online on our blog. To qualify, photos must be submitted via WeTransfer by 31 July 2015, sent to editor@worksthatwork.com. Happy shooting!